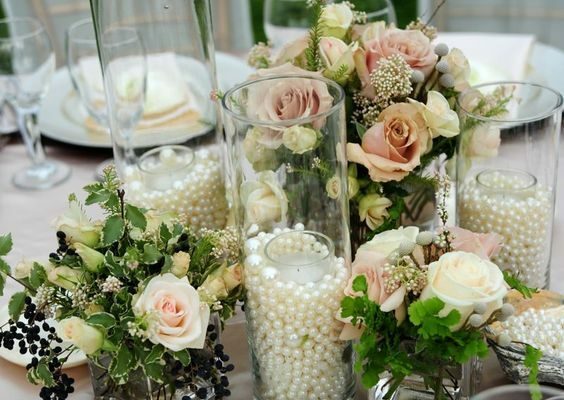 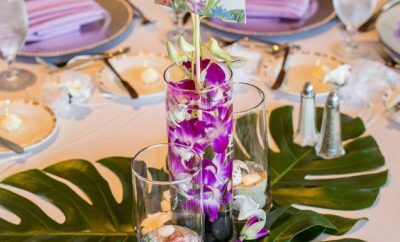 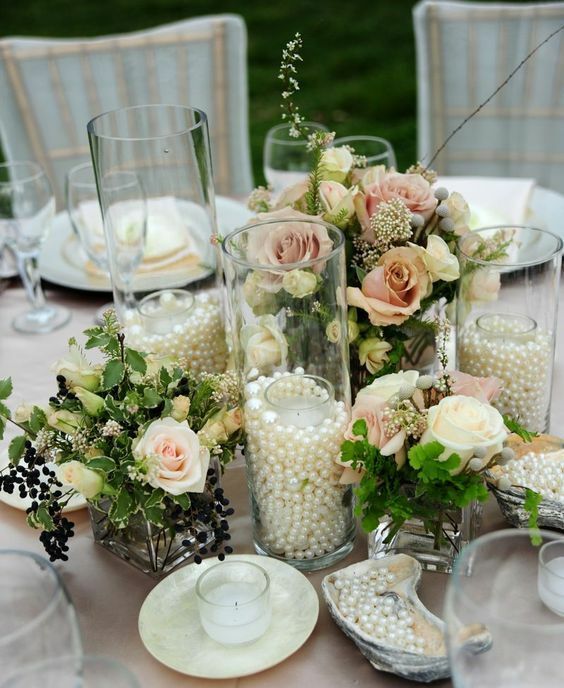 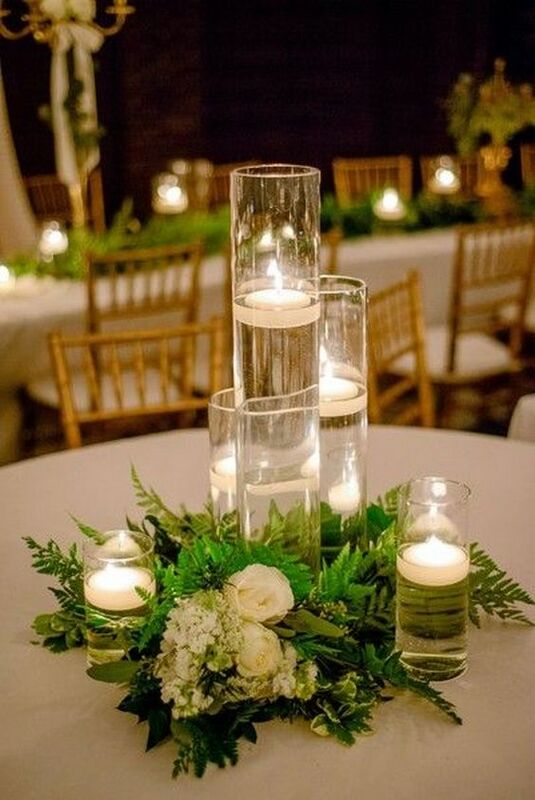 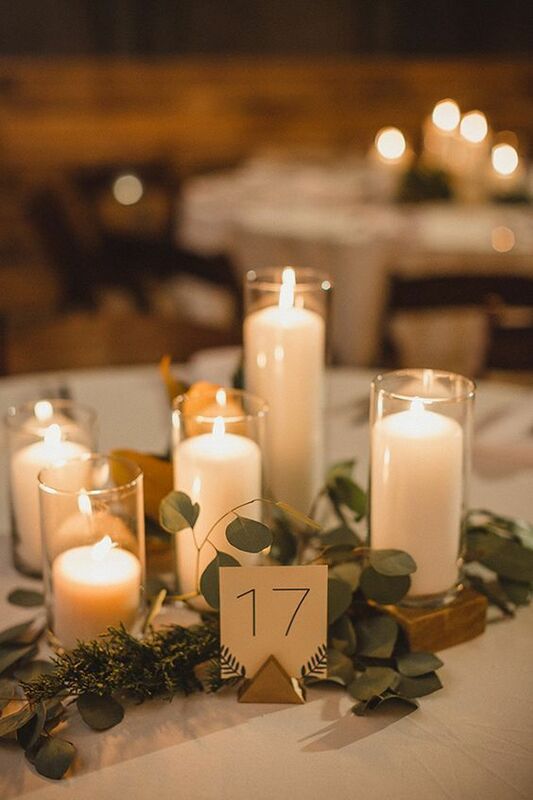 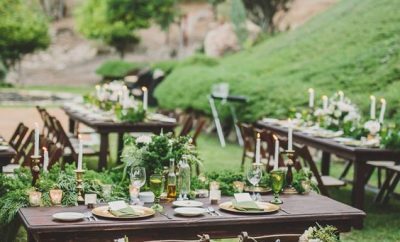 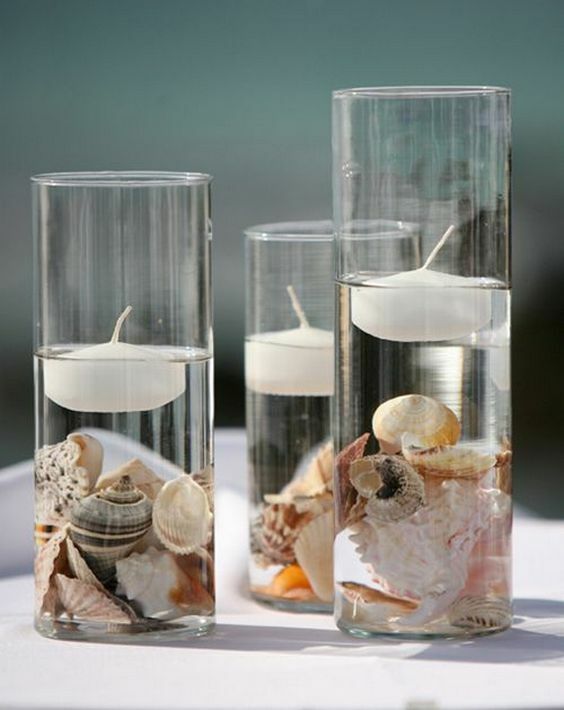 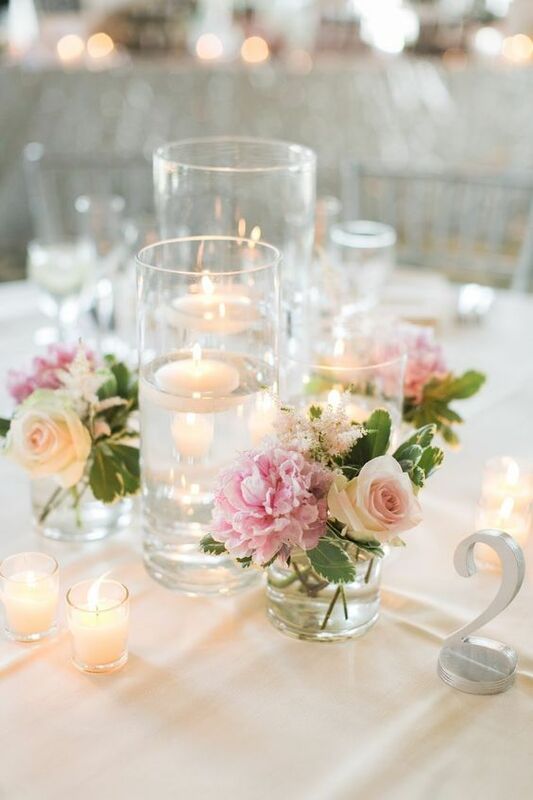 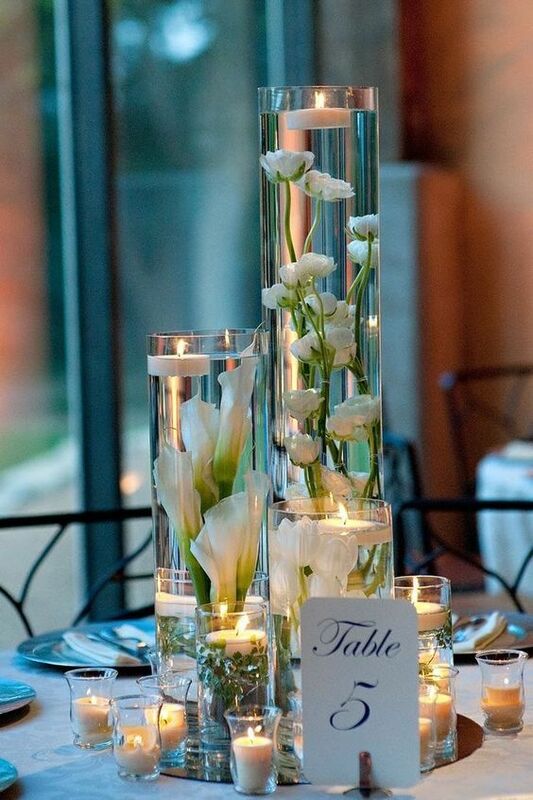 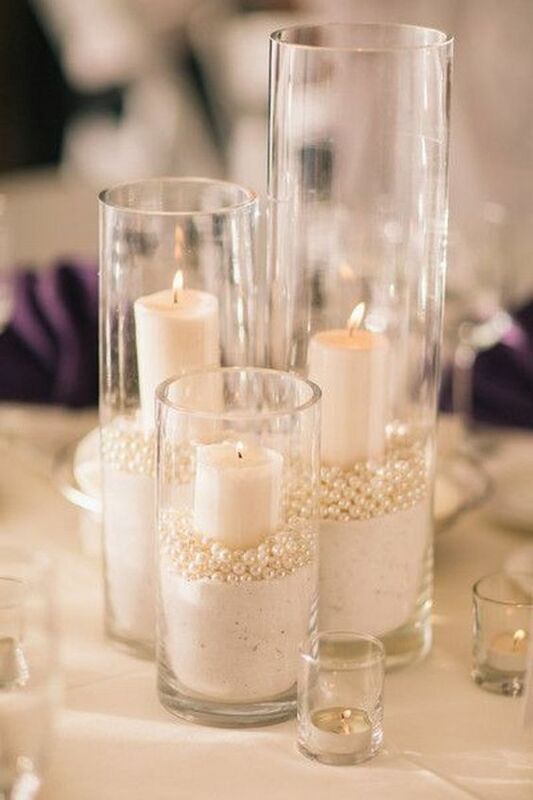 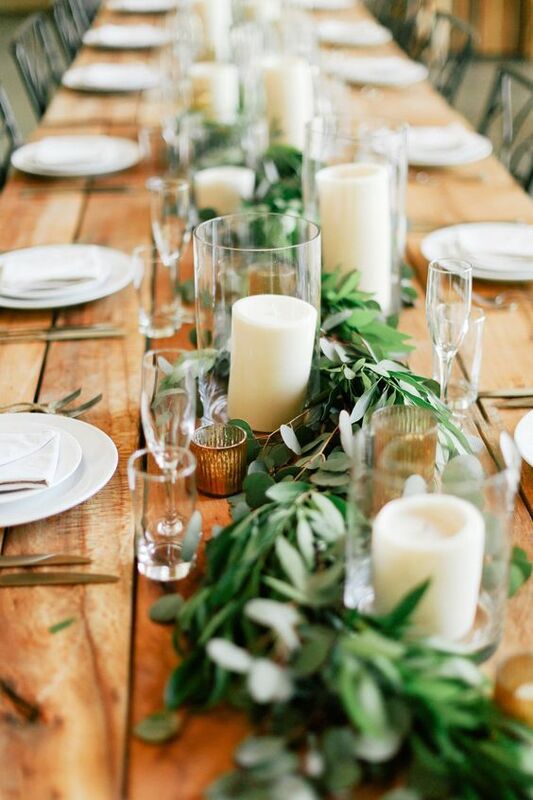 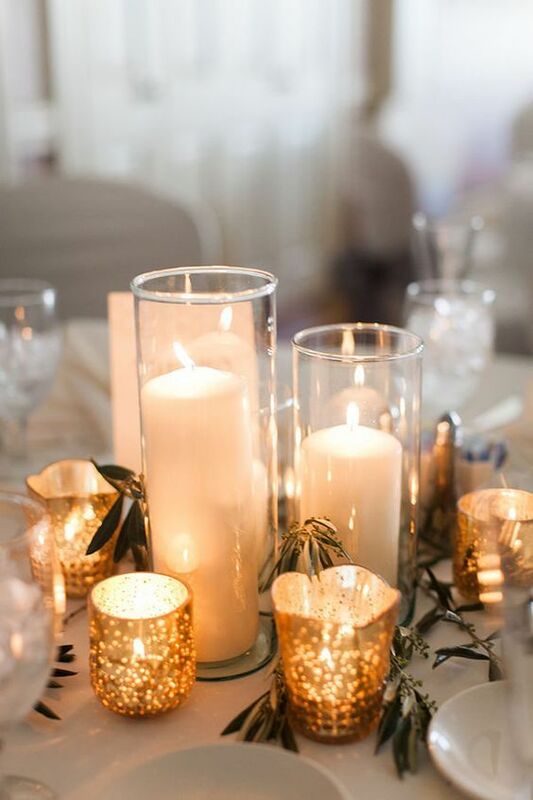 Elegant glass cylinders placed in the center, look fabulous as wedding table centerpieces. 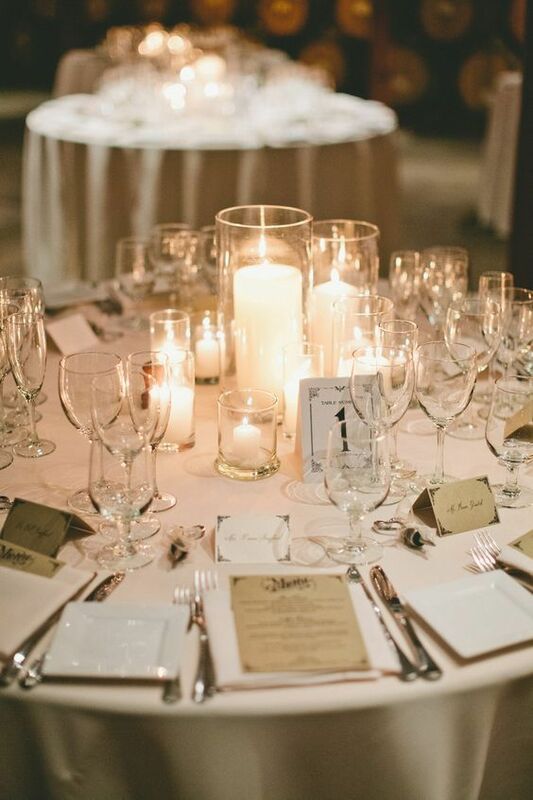 There are so many options to fill it. 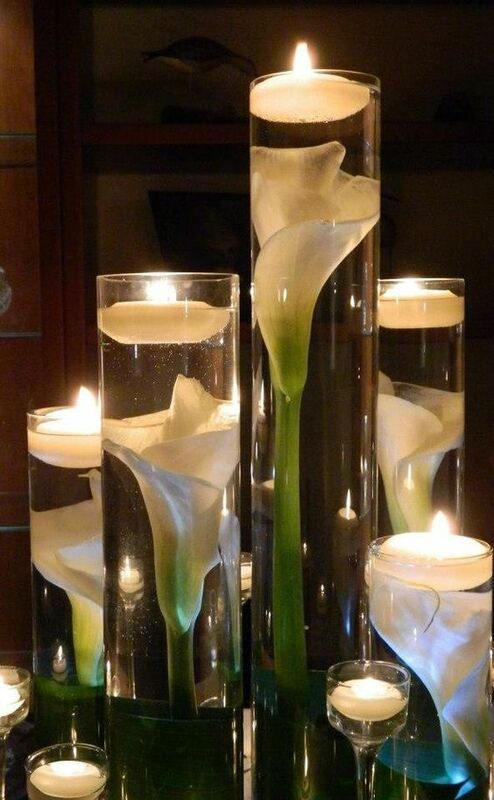 With an artistically shaped tree branch, fresh flowers, candles, candles and flowers together.